NEETPrep is a platform by the best teachers for NEET Exam for UG Medical Entrance. The NEETPrep team comprises of more than 150 senior faculties. The platform offers the best courses for students who plan to write NEET Exam in 2020, and 2021. These courses are designed to help the student everyday to achieve the learning goals necessary to succeed in NEET. The courses comprise of syllabus based course plan, topic and subtopic based video lectures by senior faculty, regular doubt clearing sessions, quizzes and monthly tests. In addition, the students get free admit to All India Test Series. 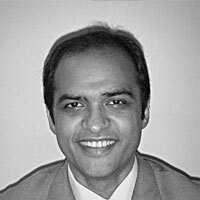 Kapil Gupta holds an MBA from University of Southern California and B.Tech. in Civil Engineering from IIT, Delhi. As Vice-President of a global operations consulting firm, he worked with organizations in US, EU, India & Middle East. Kapil is passionate about making large organizations accomplish projects faster and more efficiently. 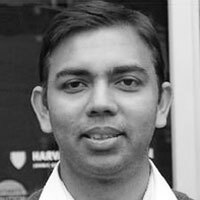 Ghanshyam Tiwari has worked in public policy, strategy consulting, and chip design. He is an MPA from Harvard University and MBA from Kellogg. He has worked for organisations that include London School of Economics, McKinsey & Co., Bluespec Inc, Intel. At present, he also advises Bill and Melinda Gates Foundation. Jay Prakash holds PGDM from Indian Institute of Management, Ahmedabad and B.Tech in Computer Science and Technology from Indian Institute of Technology, Bombay. 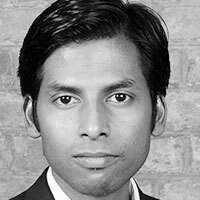 He has worked in areas such as big data, machine learning and web technologies in various companies including Goldman Sachs and Yahoo over the last six years. 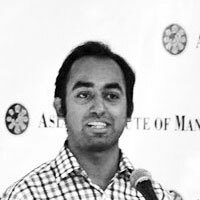 Anis Bari is MBA from Asian Institute of Management, Manila. He is a Global Shaper of World Economic Forum and author of a bestseller book 'Dreams of The Mango People'. He was awarded "Most Promising Entrepreneur" in 2010 by 'TiE'. He believes in value creation and innovation.